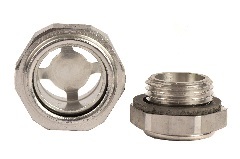 The innovative design made the same tightening torque possible like by hexagonal. Additionally the field of view is increased by 20 %. And the safety is also increased by using a thicker glass. 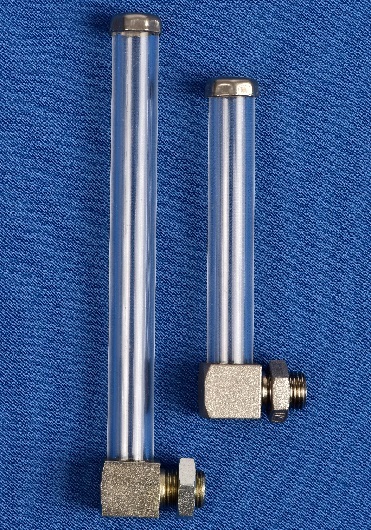 An internal pressure up to 30 bar is possible. 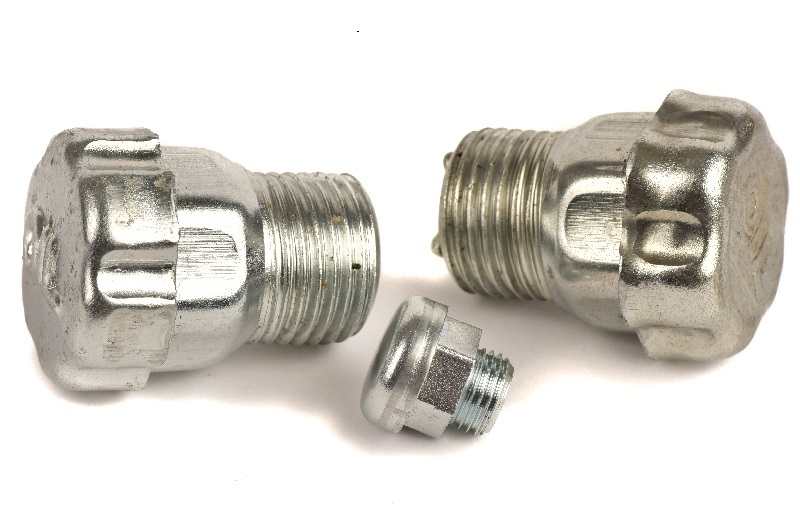 The assembly tool is supplied. 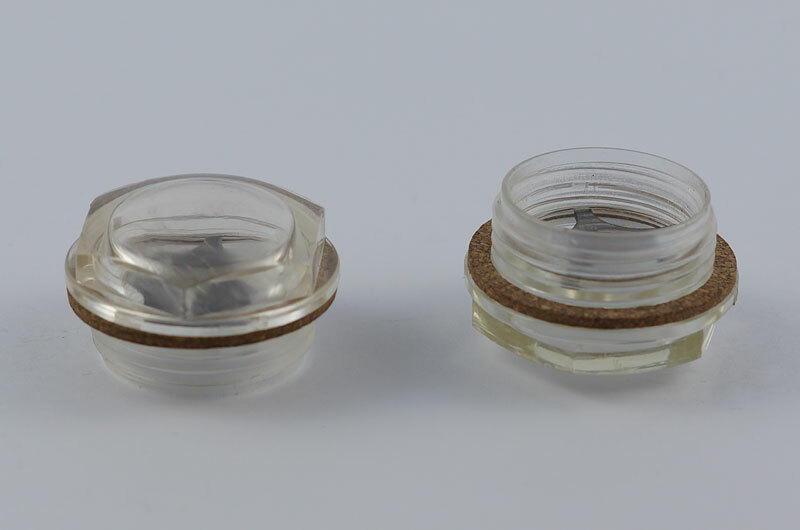 The innovative design made a 20 % larger field of view possible. By using a thicker glass the safety is increased. The base material is Grilamid, thus made a temperature resistance of 100° permanent and 120° short-term possible. Available with or without reflector. The base material is aluminium. Depending on the operating temperature the windows can get equipped with Floatglass (by 120°) or Borofloatglass (by 200°). 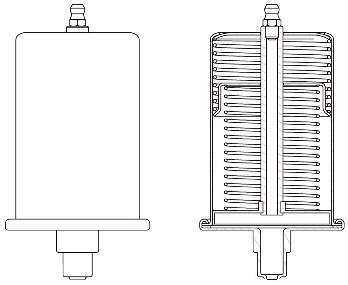 Ventilation values as they are achieved at this Filters are not possible with turned parts. 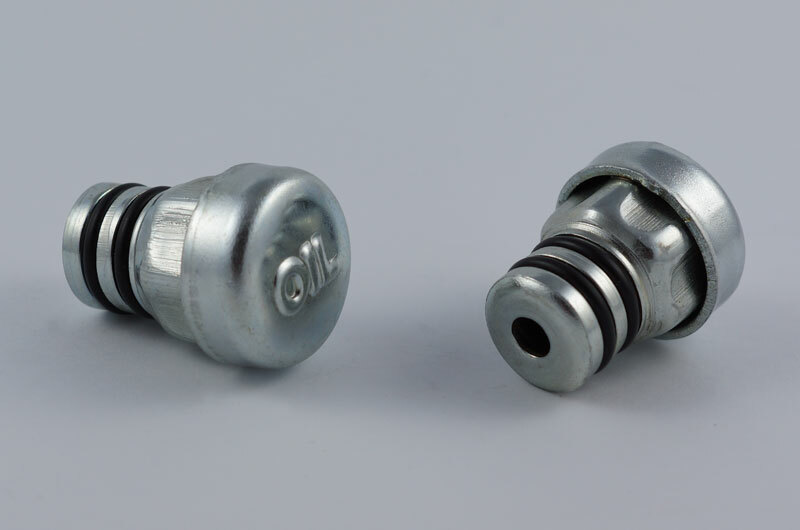 Thanks to the innovative design Oil leaks in pumps and gearboxes are almost impossible. 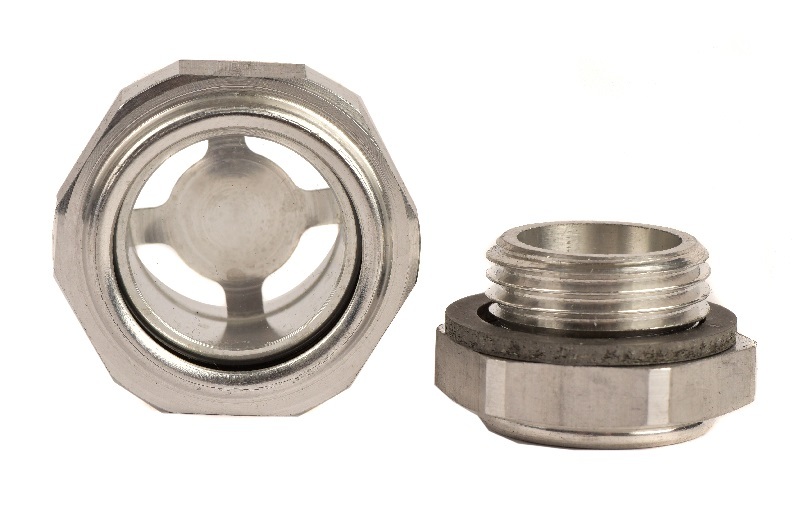 The specially engineered inlet flaps serve for the first pressure and oil separation. The succeeding oil trap defused in additions the pressure and separates oil + air. Dust and water-splash protection according to IP 54. 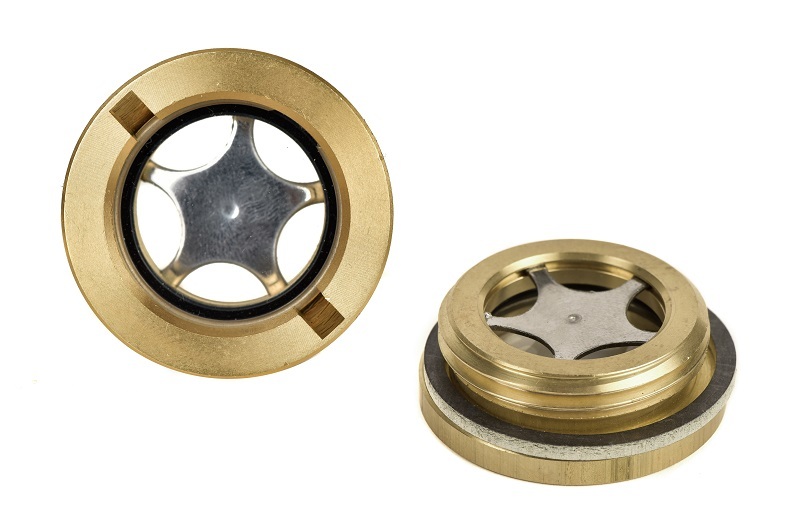 All threads are rolled self-sealing + self-locking to DIN 158. 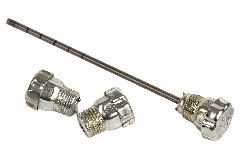 All sizes can be supplied with dipstick. 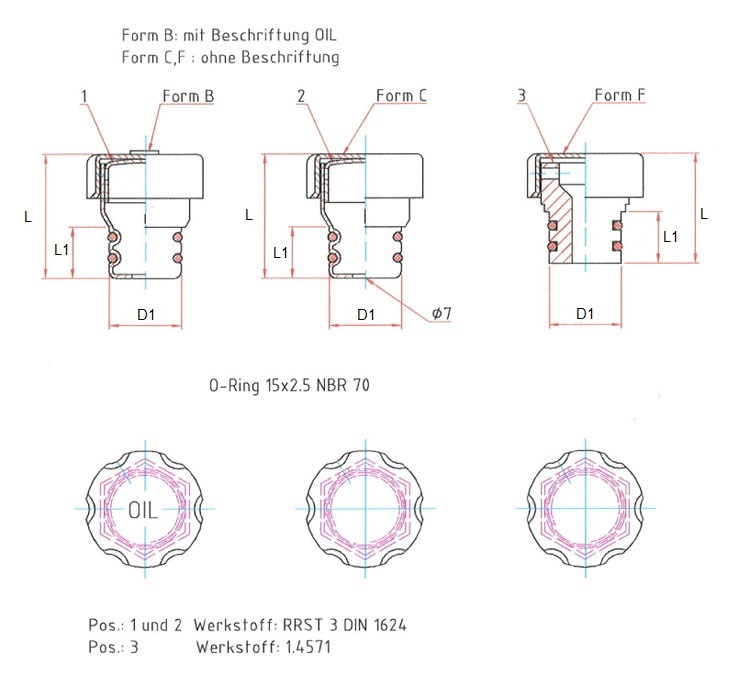 Thanks to the innovative design Oil leaks in pumps and gearboxes are almost impossible. 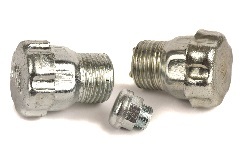 The succeeding oil trap defused in additions the pressure and separates oil + air. 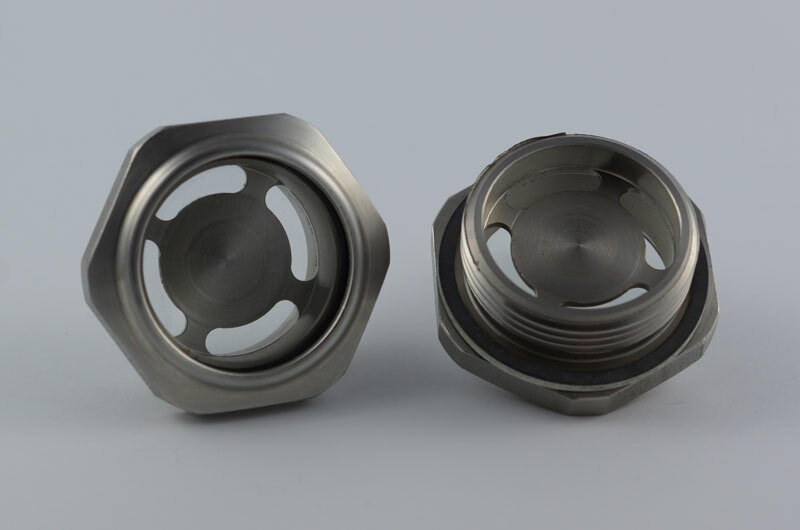 The smaller sizes (M5, M6, M8, M10, R1/8) are convetionally turned parts. 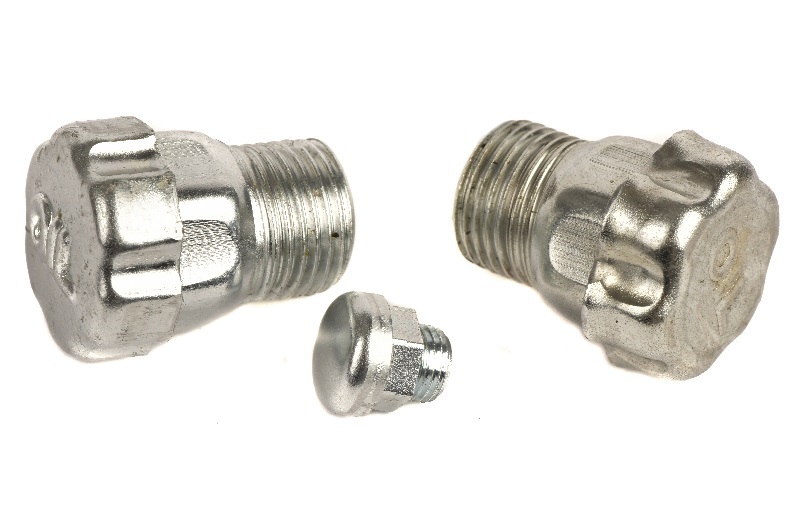 Ventilation values as they are achieved at this Screws are not possible with turned parts. 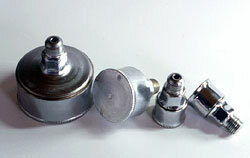 Our Breather Vent Plugs have as well as our other metal-made filters special ventilation values. 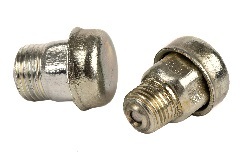 Plugs of this type are vibration-proof, quick and easy to assemble and making a thread is not necessary. Dust and water-splash protection to IP 54. 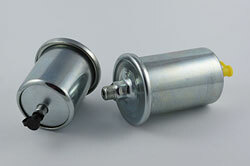 - Version B --> labeled "OIL"
Our Vent Valves are available in steel galvanized. 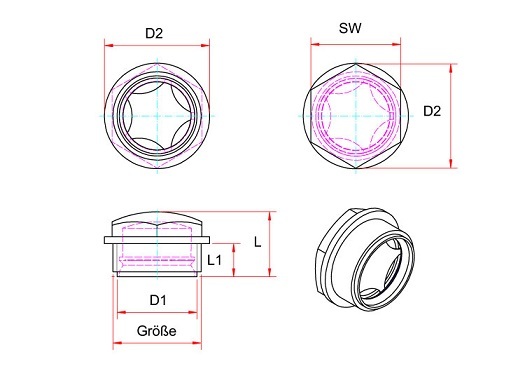 The smaller sizes (M5, M6, M8, M10, M1/8") are rolled parts, the other sizes are deep-drawn. 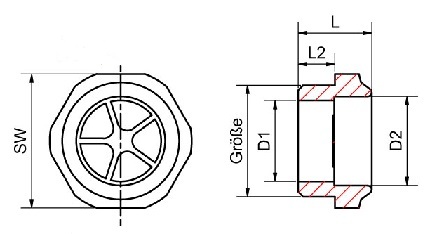 The Valves opens from 0,2 bar. The paintings will be exchanged. The bigger Filling spout makes it easier to fill the reservoir. On the Filling Spout is a safety thread for the secure fixing of the Reservoir. Through an Oil Window you can check the oil level. The Wire Guard is separately available. For filling the Reservoir this version is expanded. 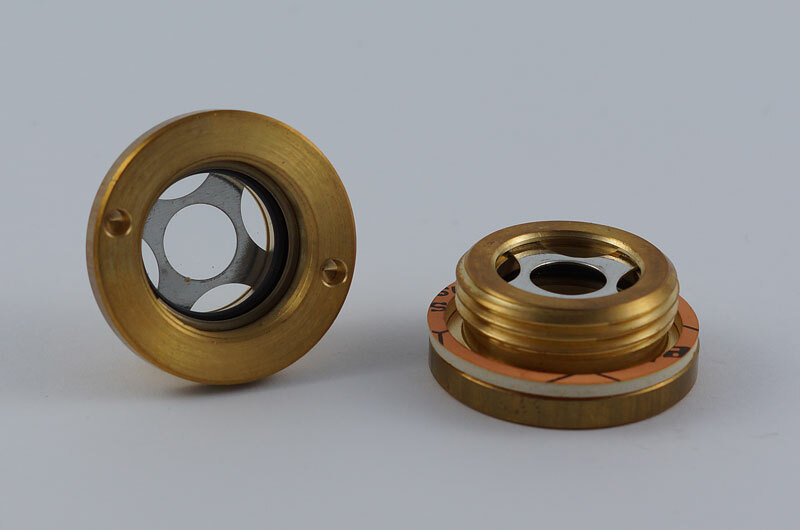 The Oil Level Gauges are used for optical inspection of the oil level. By using a tube of acrylic glass a panoramic view is possible. Vent ducts through the octagon of the cap. Our precision Grease Cups are quality products of recongnized quality and reliability. On request also available in brass and zinc planted steel. 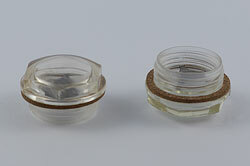 Grease Cups, DIN 3411, cap and base drawn nade. 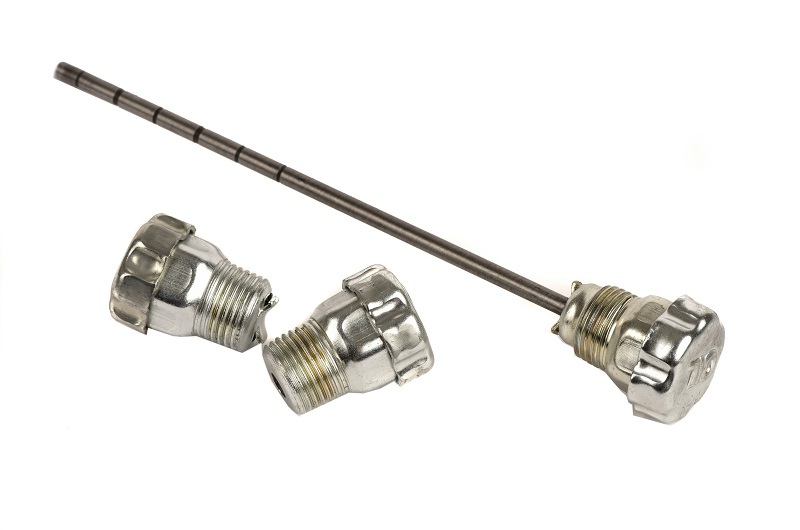 The superior technology of our Spring Greasers are that we do not work with fuel gas or other chemicals, but environmentally conscious on the technique of two-spring system set (+/- 6 % accuracy pressure). Use grease with viscosity grade 2.